Going into October many ARO championship titles were confirmed, though the jockeys championship went right to the wire, with Will Pettis securing his first title in the last race of the season. Meanwhile European Arabian racing switched it's focus to France, for the Qatar Arabian World Cup weekend, which opened with the sale and closed with a first victory for Poland in the feature event. The Arqana Purebred Arabian Sale, held at Saint-Cloud on Thursday October 4th, was without fireworks, however the figures were similar to 2017. The average was only down by just over €600, whilst the median was up by €2000. The leading lots were both horses-in-training who had been Group PA placed and both came from renown owner-breeder, Renée-Laure Koch. Topping the sale at €155,000 was the filly Fortuna Al Maury, a daughter of No Risk Al Maury, whilst a Mijadd colt, Sea Bird Al Maury, was close behind on €150,000. He comes from the same line that has produced many good horses including No Risk Al Maury, Sylvine Al Maury and Rubis De Carrere. Both were purchased by Gérard Larrieu’s Chantilly Bloodstock Agency and were wild card entries to the sale. Returning to Saint-Cloud on the following day, Arabian racing followers witnessed two taking performances by juveniles. Marid dismissed his field with ease, coasting to victory in the Qatar Arabian Trophy des Poulains under Olivier Peslier, for owner-breeder HH Sheikh Abdullah bin Kahlifa Al Thani. The winning margin was only half a length, but the manner in which the son of TM Fred Texas and the multiple Group 1 PA winner Al Dahma won, couldn’t have been easier. This was quickly followed by Al Haffanah (Amer) in the fillies’ equivalent. 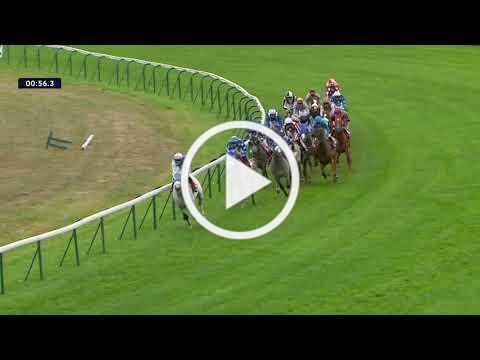 Her winning margin was more decisive, finishing two and a half lengths clear of her nearest rival. It marked a significant win for Al Shaqab’s Arabian racing and breeding operation, as her dam Al Nachmiya (Azadi) had been their first winner. Moving on from Saint-Cloud to the rebuilt and renamed Paris Longchamp, the focus turned to the four-year-old fillies in the Qatar Arabian Trophy des Juments. Here was another landmark victory for an owner-breeder, this time Dr Al Nujafi, who witnessed Al Shamoos triumph in the same race won by her half-sister Muneera (Dormane) the previous year. Despite her very recent sale to Sheikh Tahnoon bin Zayed, Al Nujafi was clearly delighted with her win, as she quickened clear of her rivals impressively and was nearly six lengths clear of the multiple Group 1PA winner, Joudh. 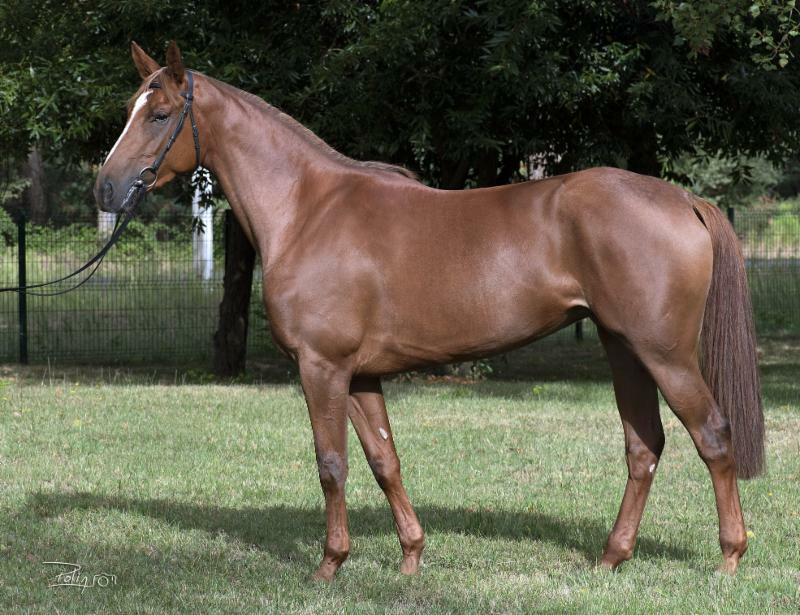 Al Shamoos is a daughter of No Risk Al Maury, whilst her dam Hamiya, is a product of Al Nujafi’s Iraqi bloodlines which have been in his family for over a hundred years. Now heading to Abu Dhabi, she could be the next offspring of her sire to flourish in the UAE, as Barnamaj did so well on the Dirt at Meydan last season. 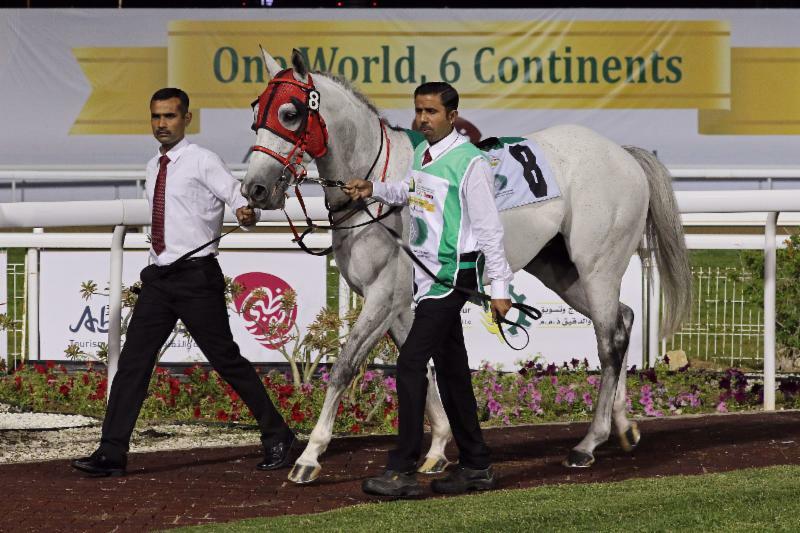 And so to the weekend's feature event, the Qatar Arabian World Cup (Gr1PA). Without the declaration of first stage winner, Muraaqib, there was to be no speculation as to a potential Doha Triple Crown contender. This years’ race looked set to be a vintage affair with the first three home from the 2017 contest, Gazwan, Yazeed and Ebraz all re-opposing, plus the two best four-year-old colts in Europe, Rodess Du Loup and Rajeh in the line-up along with another six other Group 1 PA winners. However, it was the shock outsider, Fazza Al Khalediah, who left them all behind. Showing an unusual turn of foot for an Arabian, he sprinted clear in the home stretch to win by two and a half lengths from Khattab and Ebraz, though the time itself was not record breaking for either track or distance, at 2.13.22. A product of Al Khalediah Stud, and a second-generation son of Tiwaiq, Fazza Al Khalediah had been sold to Poland where he had recorded eight straight wins for trainer Michal Borkowski. He stepped up to Listed company, winning in Milan in July, before having his colours lowered in the Group 3 PA Nagroda Europy by Ijram, Ebraz's full-brother. Benefitting from a good draw and a half kilo age allowance, he returned to form in Paris, recording the most significant win for Poland for over 50 years. 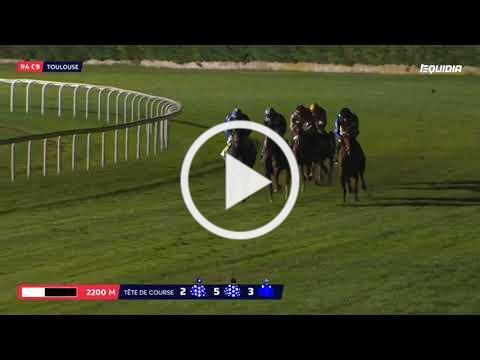 The month closed with the French Arabian Breeders' Challenge races at Toulouse on October 24th. The three-year-old colts race over 1600m was won by YAS managements' Hayyan (Munjiz x Dahwa), with the fillies equivalent going to Adiba (Burning Sand x Al Anqa) owned and bred by HH Sheikh Abdullah bin Khalifa Al Thani. The 1400m sprint went to Al Naama, a four-year-old filly by Majd Al Arab out of Entisaar for Al Shaqab racing. All three contests carried Group 2 PA status. The closing event was the Sheikh Zayed Cup Gr1PA over 2200m, where Rijm finally gained the Group 1 he has been chasing all season, having been placed in both the French and UK Arabian Derbys and the Al Rayaan Cup. The four-year-old colt was ridden by Julien Auge for Thomas Fourcy and Al Shaqab. Owing to the rescheduling of the final races of the UK season, this year the ARO Championship trophies were presented at the Dinner and Dance organised on behalf of the ARO participants by Anna and Brian Wallace. Held at the Ardencote Manor Hotel in Warwickshire on September 20th not all the recipients were present to receive their awards. Pictured above is Shadwell Stud Director Richard Lancaster with the ARO Owners Championship Trophy received on behalf of HH Sheikh Hamdan bin Rashid Al Maktoum at Shadwell's head office in Thetford this month. ARO's patron finished the season with 30 winners, securing his fifteenth consecutive owners title and seventeenth win overall. Assisting His Highness with his success was Phil Collington, who secured his first ARO trainers trophy and Will Pettis, stable jockey to Collington, who won his first overall jockeys' title. Also integral was Joanna Mason, co-stable jockey to James Owen, with whom HH Sheikh Hamdan's Arabians are split. Mason collected her third successive ladies title, whilst Kaitlen Robinson was leading novice rider. The success for His Highness also saw his homebred filly Saleemah crowned both Champion Arabian and Champion Mare, whilst her sire, Madjani, was leading stallion for the second consecutive season. Despite finishing with an impressive four wins from seven races on the ARO Season Finale Card last month at Chelmsford, it was not enough for James Owen to claw back the 2018 Trainers Championship from Phil Collington, though a very respectable 17 winners for the season still earned him the runner-up spot. 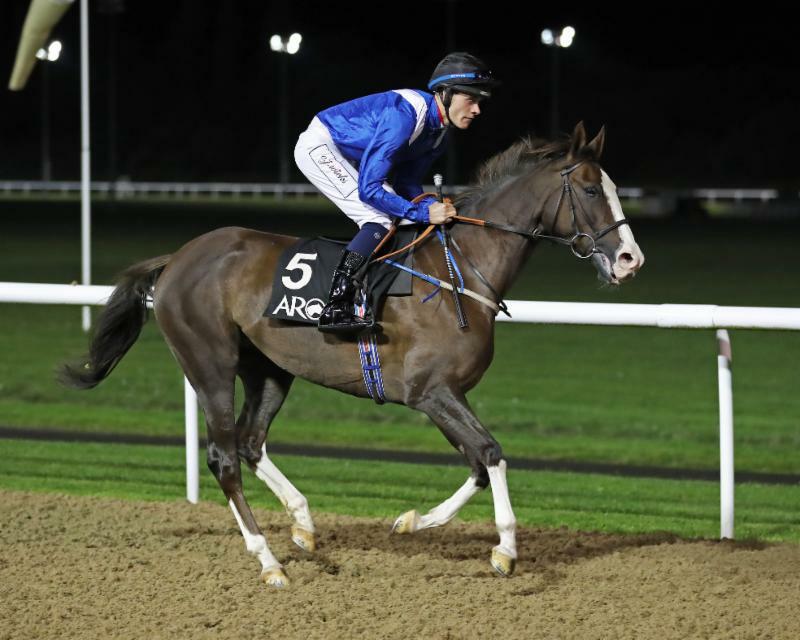 Equine highlights for the Owen Team this year have been the consistent Al Kaaser, and the exciting young fillies, Farhaa and Rafeef, who all contributed to the 30 winners that secured his main supporter HH Sheikh Hamdan, a 17th ARO Owners Championship. 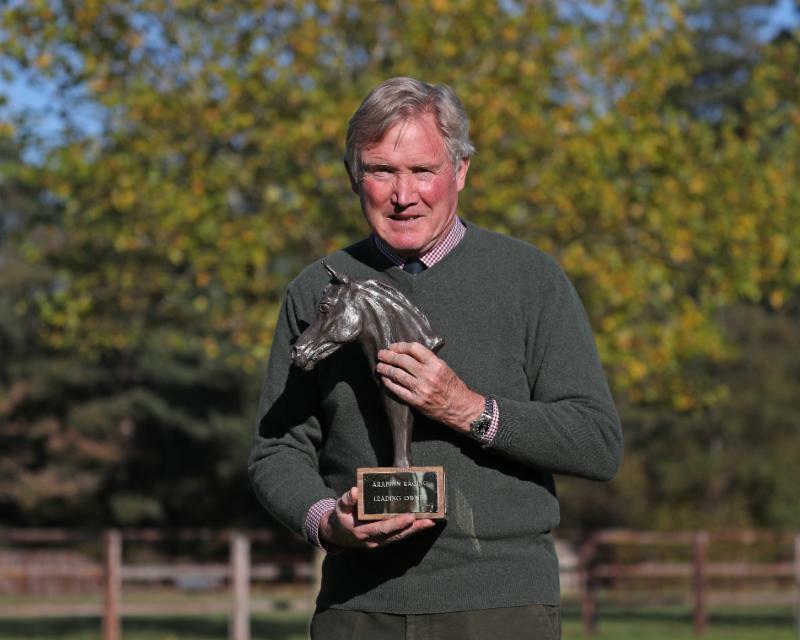 He was also able to assist with co-stable jockey, Joanna Mason's third ARO Lady Jockey's title and was delighted to see his parents, Herbie and Jenny Owen win the AHS Small Breeders Award, training their three homebred winners - Conquer, Insignia and My Boy Sam. 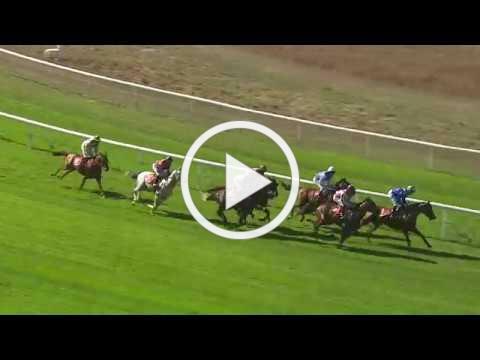 The stable's James Owen Racing Club, the first of it's kind to offer members shares in three Arabian racehorse, was a great success in its' first season of racing. My Boy Sam will stay in the club for 2019, whilst the first of two new recruits will be paraded at the the Club's end of season open morning to be held at Green Ridge Stables on Saturday November 4th. There were 14 runners declared this week for the Jewel Crown Gr1PA run over 1600m at Abu Dhabi Equestrian Club. They were headed by the 2016 winner and 2017 runner-up RB Burn (pictured right). This year sees a strong European trained challenge led by the Qatar Arabian World Cup winner Fazza Al Khalediah (Poland), plus Ahzar (France) who recently beat RB Burn in Bordeaux. Also present is Al Shamoos (France), winner of the four-year-old fillies Group 1 in Paris and the UK trained Shomoos Athbah, who was fourth in that contest. The race is due off at 20.15 local time tomorrow. The Arabian Raceh o rse magazine issues monthly updates by email supporting the digital publication which is now produced quarterly - contact now for advertising rates. The Arabian Raceh o rse has updated it's website to become the main portal for all the links to social media, the digital magazine archive, the newsletter archive and links to purchase the photographs featured in the magazine. 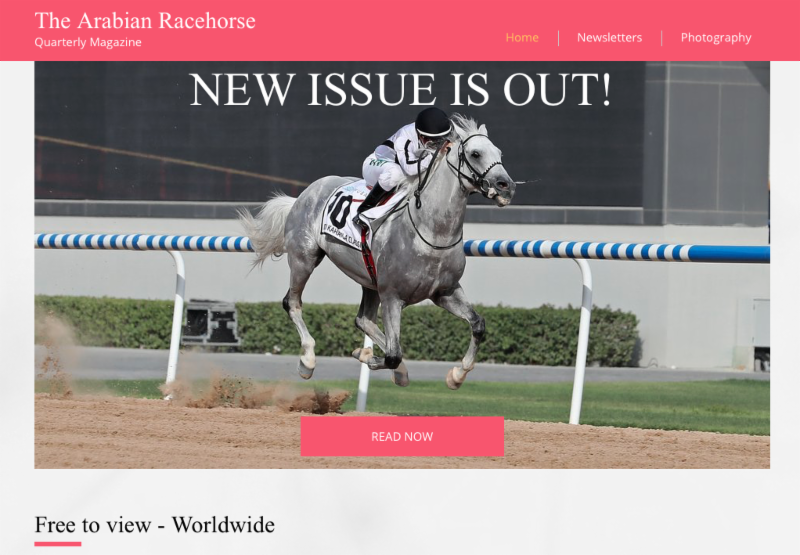 The Arabian Raceh o rse magazine sends out monthly email reviews, bringing the world of Arabian racing direct to your inbox. 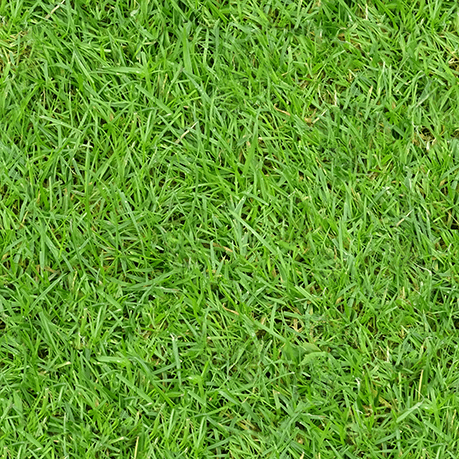 Your name and email address are used solely for the purpose of transmitting this information and is not shared with any third party. A pivotal horse in all the 2018 ARO championships, owned and bred by HH Sheikh Hamdan, trained by Phil Collington and ridden by Will Pettis, she was also UK Champion Arabian and UK Champion Mare, in addition to providing three wins for her sire Madjani, to secure his Sires Championship.